Jane Ellis has just completed a lease on a 5,000+ Sq. Ft. Professional Office Building at 1237 Augusta West Parkway. The office will become the home of Fusion Autism Center's 7th Georgia location. 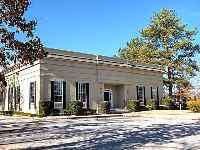 Sherman & Hemstreet Real Estate Co. is the area?s leading office brokerage firm. Fusion Autism Center is an expansion of the long-established Florida Autism Center that was founded in 2005 and serves the autism community with center-based ABA therapy. The organization employs a diverse and talented team of behavior analysts at each of its locations.